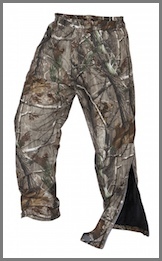 Our Predator Bibs are specially designed for those who spend a lot of time pursuing their game in the snow. 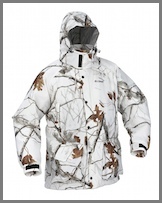 Our Predator Parka is specially designed for those who spend a lot of time pursuing their game in the snow. 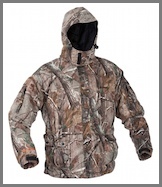 ArcticShield Pro Series 3-in-1 Jacket with X-System Liner. The ArcticShield 3-in-1 Pro Series works “triple” duty by providing state-of-the art ArcticShield heat retention technology, keeping you extremely warm by retaining your body heat and protecting you from the elements when wearing the jacket. ArcticShield Pro Series Bib with X-System Lining. The ArcticShield 3-in-1 Pro Series works “triple” duty by providing state-of-the art ArcticShield heat retention technology, keeping you extremely warm by retaining your body heat and protecting you from the elements when wearing the bib. 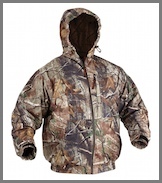 ArcticShield Quiet Tech Hooded Jacket. 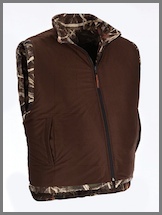 Great for early-season or warmer weather hunting, the Quiet-Tech Jacket and Pant feature an all-weather poly tricot outer shell, allowing you to sneak into the woods without a sound.